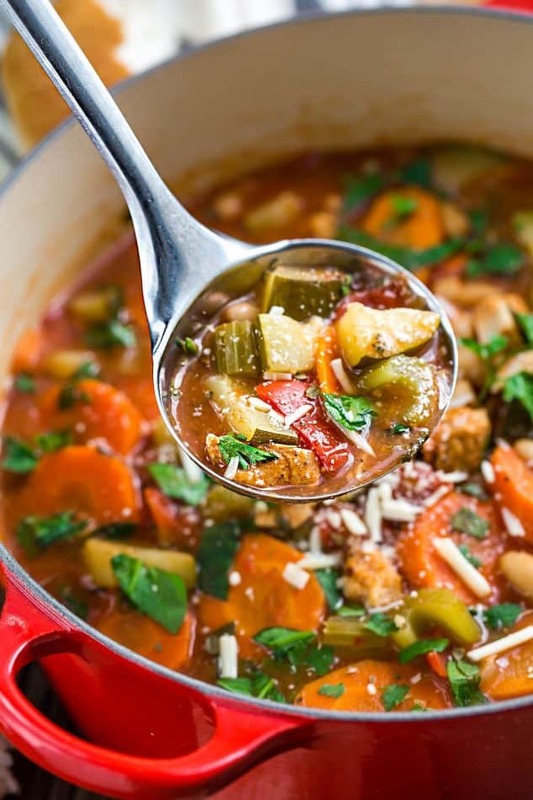 Hearty Vegetable Tuscan Chicken Soup makes the perfect comforting meal for busy weeknights. 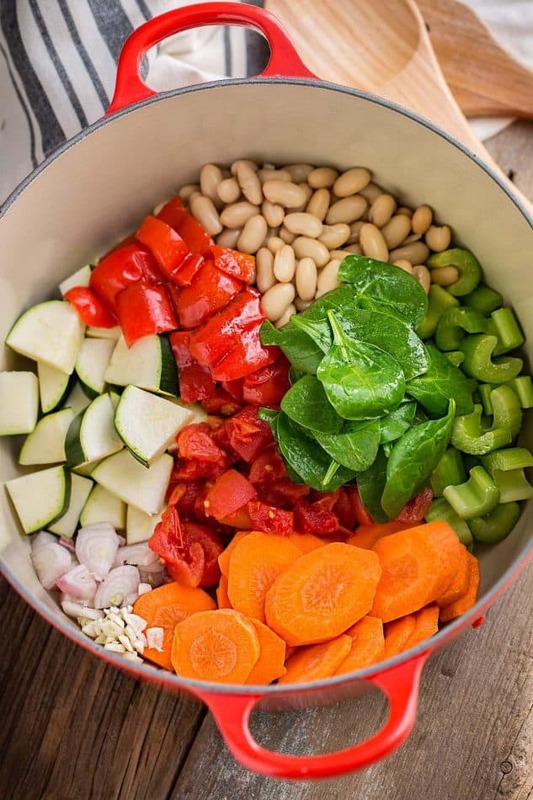 Best of all, it’s so easy to make and full of hearty vegetables, white beans and chicken. Did you know January is National Soup Month? I am actually one of those that can have soup all year long but love it even more during the colder months. We practically live on soups once November hits around here. 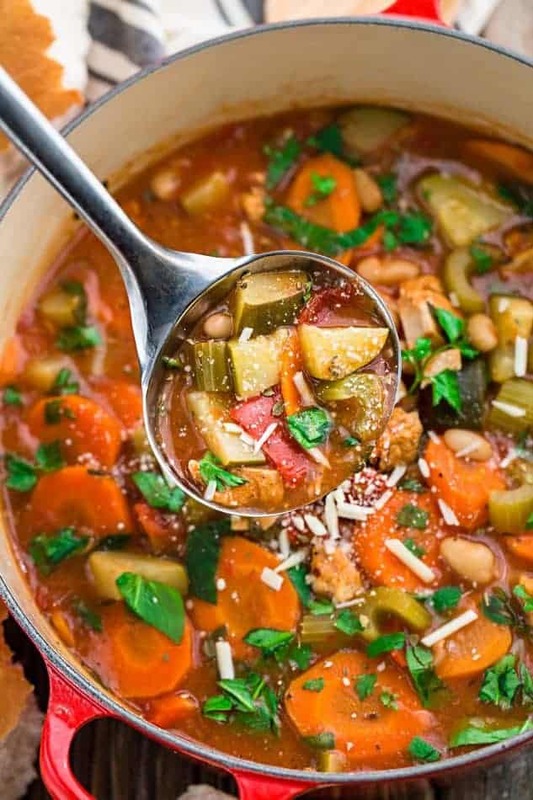 This Hearty Vegetable Tuscan Chicken Soup has been showing up here a lot lately. It’s hearty, filling and perfect for those cold winter days. Plus, this soup is jam-packed with a ton of nutrients, healthy vegetables, hearty beans and tender rotisserie chicken. The best part is that you can easily customize it with whatever you have on hand! We loaded ours up with celery, zucchini, red peppers, carrots, diced tomatoes and white beans. Cook for 25-30 minutes in a large pot along with some garlic, onions and Italian herbs and that’s it! Serve this up with some crusty bread, fresh parsley and a sprinkle of Parmesan cheese. This soup is so easy to make ahead and also a perfect freezer friendly meal. 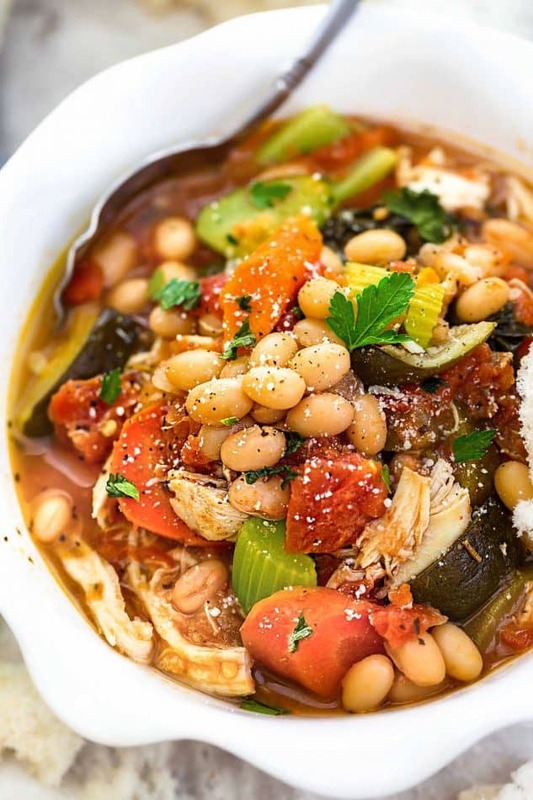 Hearty Vegetable Tuscan Chicken Soup is so comforting and full of hearty vegetables, white beans and chicken. Super easy to make and perfect for busy weeknights! In a large pot over medium high heat, add the butter and olive oil. Add in the onion, garlic, carrots, and celery and saute for about 4-5 minutes, until tender and fragrant. Stir in the zucchini and red pepper and cook for another 2 minutes until slightly softened. Sprinkle in the flour to create a roux and cook for another minute. Slowly add 1 cup of the chicken broth while continuously stirring until it starts to thicken and comes together. Then slowly pour in the remaining chicken broth.